Most dash or driver cams have few features - they record audio and video to an SD card which you pull out and manually review. That is certainly the case with the top selling CarCam on Amazon which we recently tested. This device has a broad array of features including WiFi support, a mobile app, GPS mapping, vehicle speed tracking and impact detection. In this test, we review the performance of the $300+ BlackVue, contrasting it to basic ~$50 Carcam to understand the tradeoffs. **** **** ** ****** **** **** *** ******** - **** record ***** *** ***** ** ** ** **** ***** *** pull *** *** ******** ******. **** ** ********* *** **** with*** *** ******* ****** ** ****** ***** ** ******** ******. **** ****** *** * ***** ***** ** ******** ********* **** *******, a ****** ***, *** *******, ******* ***** ******** *** ****** detection. ** **** ****, ** ****** *** *********** ** *** $***+ BlackVue, *********** ** ** ***** ~$** ****** ** ********** *** tradeoffs. *** **** + ****** *** ***** ** ************ ****** ** check *****. ******* ** ******** ** *** ********** ** ** a ****** **** **** *** ******** ***** *** ** ****** pulled **** ***'* ********** ****** *** ***. *** ***** ***** ******* *** **** ****** **** *** ***** Carcam *** ********* * **** ******** ** *** *****. ********* **** ******* **** ****** ******** *** ******* ****** **** difficult **** *** ********. ***** *** ******** *** * **** wide *** (******* ***** **** *** ******), **** ******* ***** density. *********** *** ****** *** **** **** ******* *** **** peripheral ******** ****. **** ****** *********** *** ******** ****** ********. ***** ** *** **** / *** *** *********** *** **** two ***** *** **** ***** ** *** ********** *******. *** ****** ****** *** *** ******* *** **** ************* ******** than *** ***** ******. 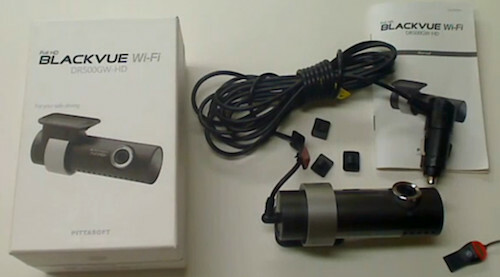 *** ******** ** ** / $*** **** **** *** ~$** Carcam *** *** ***** **** **** * ******* *******, *** BlackVue ** *** **** **********. ***** ******* *** ******* ****** *** ****** *** *** ***** FoV of *** ******** ******* **** ******* ** ********. *******, ** *****, *** ******** *** ******* **** ****** **** the ******, ***** *** ****** ********. ***** *** ******** *** *** * ***** *** ***** ******, it *** ******* ****** ******* ** *** ******* ** ******* verification ** * ***** *******. Advanced ******** - *** / ***** / ***. I had been considering buying a ReplayXD for my motorcycle. Might have to look into this one. Is this one weatherproof? How's the audio? John, thanks for sharing. I think you may want to stick with ReplayXD as it claims to have a, "water-resistant, hard anodized, rugged aluminum housing." The BlackVue unit does not and, I suspect, would be destroyed fairly quickly if exposed to the environment. I have been using my old Flip cam (which isn't weather-proof either) with a custom mount on the sidecar to record ride videos but the wind noise into the microphone (tried covering it with tape and foam) and lack of an image stablization feature make the videos a little shaky and noisy. Does the DriverCam or CarCam have an image stabilization feature or a remote mic connection? Integrated mic only. I don't believe they have image stabilization, not even any references or claims to that effect. I have not played the videos to learn more about the device. My main concern is do I have to manually turn the camera on and off or does it detect car moving or connect to car somehow to detect car turned on? If that is the case then it would be a major pain to remember to turn it on and off.  I have tested ReplayXD on a AR Drone and also on record POV tyep of shots. Not a bad small camera. Contour is heavier but you'll get better quality. I'm slightly amused by your having blown past most of the stop signs in the parking garage. "The camera" is confusing at times. Without sitting down and trying to analyze which is which, I can't tell in some cases. It is much better in your articles where they are labeled in each pic: CarCam, Night Shot, Parking lot (IE).